(M30) or 60-minute(M60 ) candle. Currency pairs: EUR/USD, USD/JPY, GBP/USD, USD/CHF, USD/CAD, AUD/USD NZD/USD. 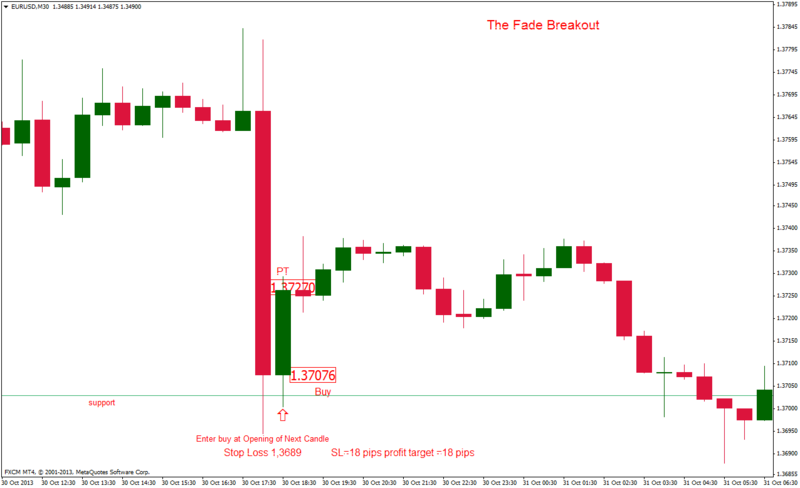 This forex strategy is not using indicators based on mathematical algorithms. but only indicators price action support and resistance. Pivot points levels, Fibonacci retracement, Static and dynamic support and resistance. the candle that goes below the support level but fails to close below it. Subsequently the price rises above the support level. 2. Identify a candle that has a shadow that goes below the support level. 4. Enter at the opening of the next candle. 5. Set a stop loss of 5 pips below the low price of the false break candle. 1. Identify the resistance level. 2. Identify a candle that has a shadow that goes above the resistance level. 5. 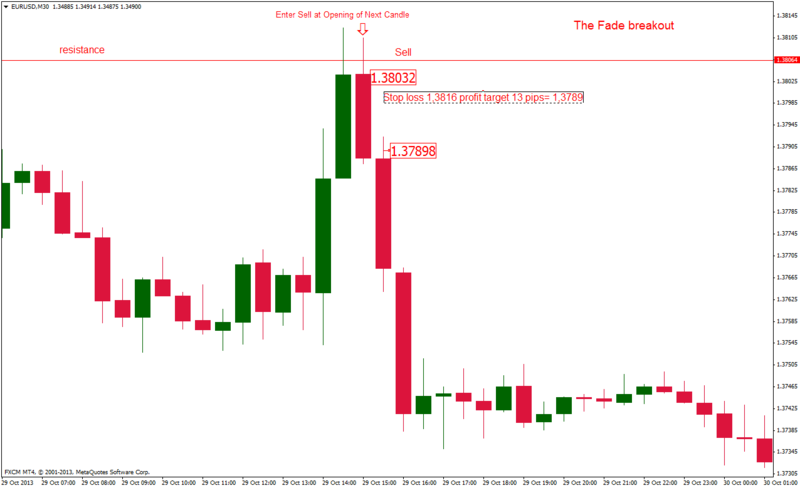 Set a stop loss of 5 pips above the high price of the false-break candle. The fade breakout is a forex strategy that requires experience.